Ringstead Parish Council provides your local services. We strive to make Ringstead a better place to live, work and play. Our website includes a wealth of information about how we conduct business and what we do. Use the search or browse the site to find whatever you are looking for. If you can't find the information you require then please contact us. The village has been entered in the Northamptonshire Village Awards run by NACRE and CPRE. The entry has been supported by the Parish Council. After the closing date of 18th April 2019 all villages who have entered will be visited by a team of judges. The presentation of the awards takes place on Tuesday 16th July 2019. There is no information yet as to the exact date when the judges will visit. When the village was last entered the awards in 2014 it was awarded Highly Recommended. Since then the Peace Park and the Community Garden have been completed, The Heritage Centre has opened, the Social Club, Axe and Compass and the churches provide extensive and varied social activities for all ages, there are a variety of businesses providing both employment and social facilities and a number of organisations such as W.I and the Scouts have been present in the village for a long time. Ringstead Primary School and Ringstead Robins Pre School support village events as well as running their own. For the judges visit a meeting was held at the Social Club of as many people from organisations and businesses in the village as were free to attend. The judges had a tour of the village after the meeting. It is expected that a similar meeting will take place. It would be good to have some displays of photographs/ posters and if you could provide some material so that this can be assembled beforehand it would be appreciated. 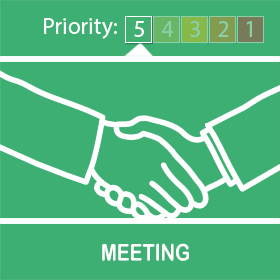 When a date for the visit is know we will contact you and it is hoped you might be able to attend. XHTML 1.0 validated. WCAG compliant. Page generated in 0.1445 seconds.